Today’s post is all about the most iconic dessert of carnival across the world: beignet! Beignet is the name given to fritters in France, as well as Louisiana, which is the destination I chose for the recipe I will feature today. But these simple sweet fritters have hundreds of names and variations depending on the country and even the region. What is the origin of beignet? Although beignet is now a staple of Mardi Gras in New Orleans, it has a fairly old history. Indeed, people have eaten fried dough at least as far back as ancient Rome. At the time, scriblita (Latin for “tart” or “a kind of pastry”), which was a precursor for beignets was very popular. It consisted of moist dough, leavened with sourdough, that was fried in animal fat. Romans also had a tradition of deep-frying fruits as a side dish. According to culinary historian Cathy Kaufman, beignets were actually first introduced into the South of France by the Spaniards via the Saracens (Muslims living in Europe) around the thirteenth century. 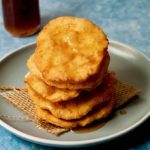 The Spanish word for these yeasted fritters is buñuelos and may be at the origin of the word beignet. 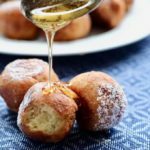 Moreover, pets de nonne (nun’s farts or nun’s sighs), deep-fried balls of airy chou dough, were also known as “Spanish beignets” in the late Middle Ages. Another plausible theory states that the word for beignet originated from the Celtic word bigne which means “to raise”. 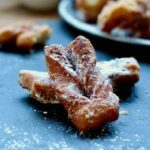 The earliest record of a recipe for these fritters dates back to 1226 AD. Luqam Al Qadi (لقم القاضي), whose recipe can be found in the Baghdad Cookery Book, are fritters that are dusted with icing sugar, after being dipped in syrup. 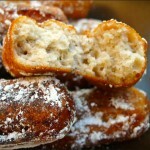 In France, the earliest known use of the word buignets as a culinary term dates to the Roman de Fauvel of 1314. Beignets arrived in northern Europe in the fifteenth century and became popular throughout England, Germany and the Netherlands. 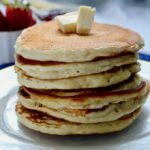 At the time, where sugar was hard to find, they were often prepared as a savory fritter. In England, these fried cakes were called bennets. 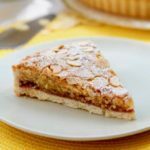 They were called spritz kueken and krullers in Germany, zeppole in Italy, and olykoeks (oily cakes) in the Netherlands, which was the original name as they came to New York (called New Amsterdam at the time) in the early 1800s. In France alone, each region has a different name for beignet. 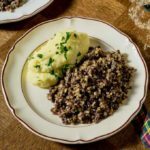 It is called bugne in Lyon, merveille in Bordeaux, pet de nonnes in Champagne, bottereau in Charente, roussette or oreillette in Provence, tourtisseau in Poitou, rondiau in Sologne, or guenilles in Auvergne! 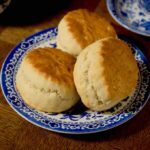 French colonists are actually responsible for introducing this deep fried delicacy to New Orleans in the eighteenth century. 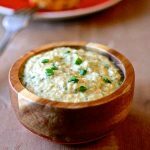 It was probably the Ursuline nuns of France who brought the recipe with them as they arrived in Louisiana in 1727. 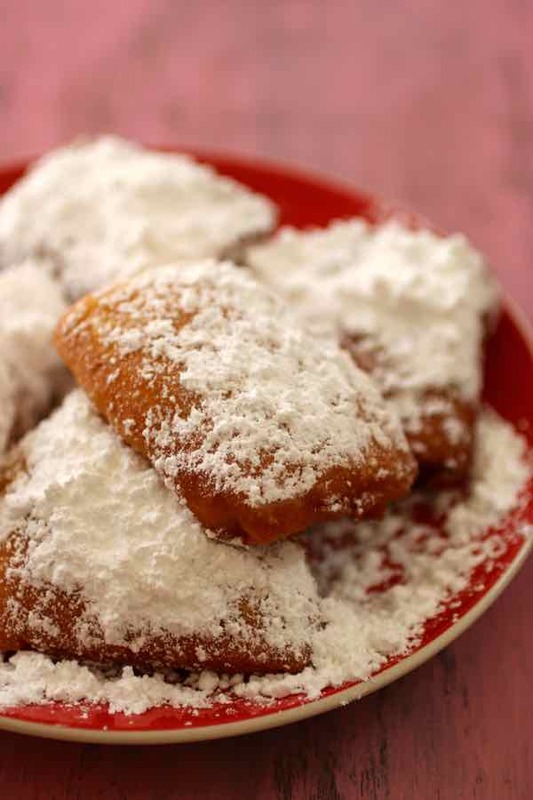 The original beignets were fried fritters that were occasionally filled with fruits. Today, this New Orleans specialty is served as a 2 to 3-inch square piece of fried dough that is liberally covered with icing sugar. 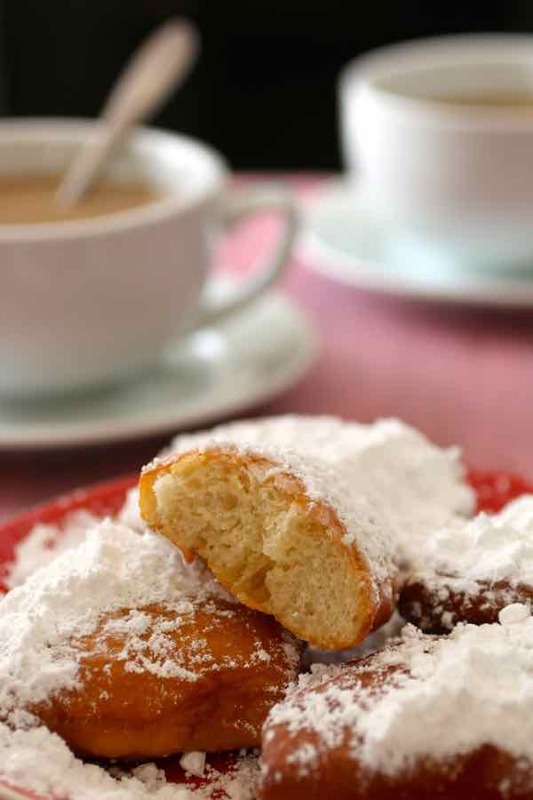 In the rest of the US, outside of Louisiana, the most popular beignets are of course donuts. The most obvious difference between a beignet from a donut, is the iconic middle hole. This hole was added as bakers noticed the fact that the dough was not as cooked in the middle. A popular tale talks about the story of a sea captain named Hanson Gregory, born in Rockport (Maine), who is supposedly at the origin of this invention. He reportedly ate a lof of fritters while piloting his ship. One day in 1847, he impaled the fritters on the handles of the ship’s steering wheel so that he could easily access them. And this is where the idea of the doughnut came about! 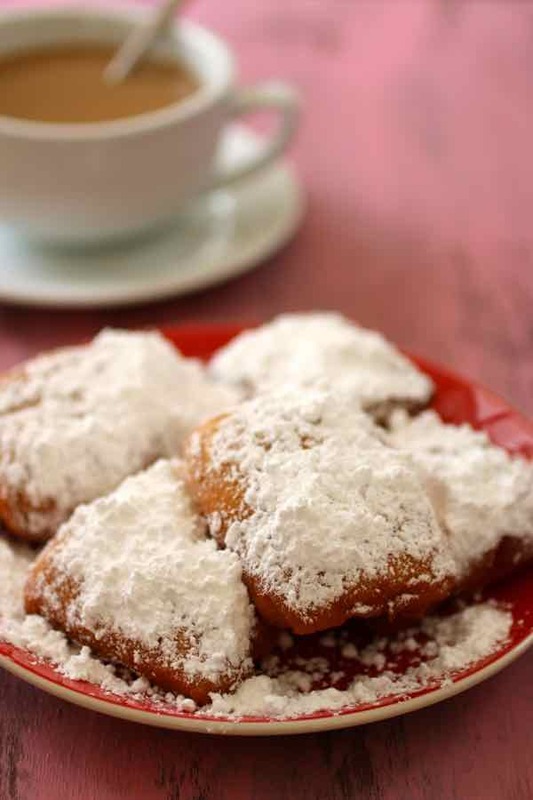 Beignets have been associated with Mardi Gras in France since at least the sixteenth century. But did you know that the Mardi Gras tradition in the US did not originate in New Orleans? That honor actually goes to Mobile (Alabama) which began celebrating Mardi Gras in 1703. At the time, Mobile was the capital of colonial French Louisiana. Mardi Gras (literally “Fat Tuesday”) had been a Christian holiday throughout Europe since the Middle Ages. On that day right before Ash Wednesday, when the strict fasting requirements start for the Lenten season, Catholics would eat a lot of foods that would be forbidden for the next 40 days, mostly foods that might excite venality including meat, dairy, animal fats, and eggs. All of this to be in the proper mindset for the Holy Week at the end of the Lenten season culminating with Christ’s crucifixion, burial, and resurrection. 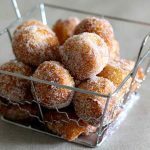 Yes, this is why a lot of carnival recipes include eggs, dairy and animal fat, like our beignets! 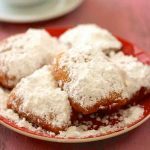 The recipe for New Orleans beignets is slightly different from some of the French or European versions. To start, these pillowy, hot, golden delicacies are made with evaporated milk. Also, they are traditionally square and generously drenched in powdered sugar. No visit to New Orleans is complete without a stop at Café Du Monde, the most popular establishment when it comes to beignets. This landmark opened in 1862 and is open 24 hours a day, seven days a week, only closing for Christmas Day! The menu at Café du Monde is quite simple. Beside beignets, it includes dark-roasted coffee with chicory, milk, hot chocolate, and fresh-squeezed orange juice. I had the opportunity to visit Café du Monde a couple times, and even purchased their beignet mix, which is now widely available in grocery stores throughout the US. It is definitely a good mix, but… nothing beats preparing beignets from scratch. I made a couple batches of these sweet puffy delicacies last week. And since you can’t really keep them for too long, the kids helped me finish them that same day! So, whether you are catholic or not, hurry up, you have a few more days to practice and make next Tuesday the “fattest” ever! 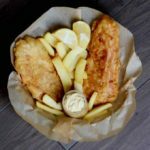 And if you need other fritter ideas to get rid of your oil, how about making sweet recipes like Moroccan sfenj or Polish faworki, or savory delicacies like akara or cod fritters? A New Orleans beignet is a specialty of French origins that is served as a 2-inch square piece of fried dough that is liberally covered with icing sugar. Combine the yeast, water, and sugar in the bowl of a stand mixer fitted with a dough hook. After it becomes frothy (about 5 minutes), add the salt, beaten egg, and evaporated Milk. Mix on low speed, then 2 cups of flour until it starts to come together, then add the shortening. Then, gradually add the remaining flour, until it is incorporated. Place the dough on the work surface. Knead the dough by adding a little bit of flour so it becomes smooth and non-sticky. Transfer the dough into a large greased bowl, cover and let rise for about 45 minutes or until the dough has doubled in volume. Punch down the dough and transfer it onto a floured surface. With a rolling pin, roll it into a 1/2 inch thick rectangle. With a very sharp knife, cut 2-inch squares by tracing horizontal then vertical lines. Place the square beignets on a baking sheet lined with parchment paper and let rise in a warm place for another 40 minutes. When the beignets have risen, heat 3-4 inches of vegetable oil in a large saucepan to about 360 F. Place 3 to 4 beignets into the hot oil at a time. After 2 minutes, when they are golden brown, flip them over until golden brown on the other side. Remove and place onto plates lined with paper towels to drain. 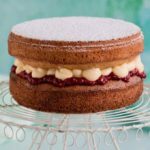 Serve hot drenched in icing sugar. Hello, the other day I was looking at a book about New Orleans, and I saw these cookies (I do not know if that is the correct name, but anyway), and I thought it was a good recipe to try. My question is, can you keep them and eat them from one day to the other one, can you store them, or should be eaten at the moment. Thank you. Hey Moira, I would absolutely not recommend to keep beignets to eat them later. Those kind of sweet fritters can really only be eaten on the spot. If you absolutely want to eat them 1-2 days later, then there are 2 options: (1) reheat them in an oven for 10-15 minutes, (2) re-fry them. Enjoy!